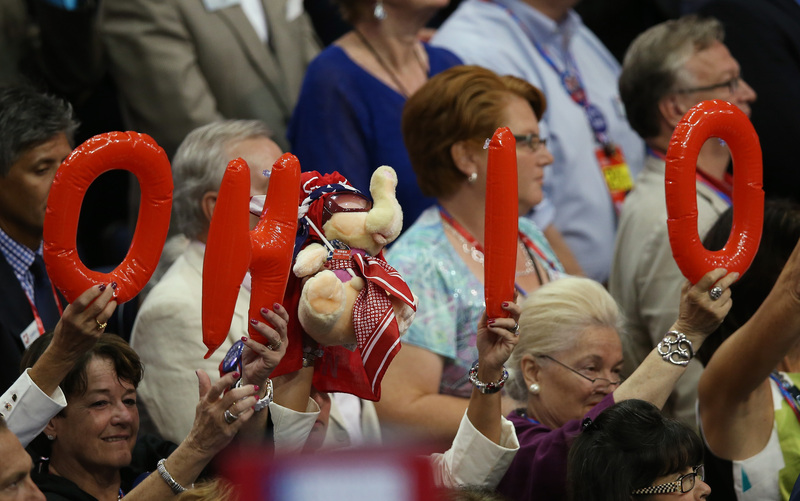 WASHINGTON - A Republican National Committee panel is recommending Cleveland to host the party's 2016 presidential convention. The Republicans' site selection committee on Tuesday reviewed bids from Cleveland and Dallas. Both cities went into Tuesday's final session as strong contenders and with loyal advocates. The full 168-member RNC is expected to ratify the choice next month. Paying for the convention was the top criterion for the 12-member site selection committee. The previous two GOP conventions have sapped party dollars during election years, and party Chairman Reince Priebus has insisted the host city not leave the central party picking up the tab, which is expected to be around $60 million. Priebus said that while picking Cleveland "was a business decision," there was a political motivation in choosing battleground Ohio as the convention site. "In the end, as well, it's Cleveland Ohio, as goes Ohio, so goes the presidential race," Priebus told Fox News Tuesday. Priebus also said they are deciding between two different start dates for the convention, June 28 and July 18, 2016, pending negotiations between the RNC and Cleveland officials. In recent years, the parties have scheduled their conventions in August and September but Priebus has argued an earlier convention will help the eventual nominee go in stronger and come out with more time to try to win the general election. "One of the reasons why Mitt Romney was a sitting duck for two months over the summer is under the campaign finance law - he couldn't use money he had already raised until after he received the nomination for president in August, " Priebus said on CBS News' "Face the Nation" last year. "I believe that our primary process is way too long. I think our calendar needs to be looked at. I think our debate calendar needs to be shrunk. I think we had way too many debates with our candidates slicing and dicing each other and I think they had to wait too long to get to the convention," Priebus said. Tuesday on Fox, Priebus said, "Now the whole process can move forward without hamstringing your candidates." Democrats, meanwhile, are on their own timeline for picking a venue. Democratic National Committee officials will begin site visits with a stop July 21 in Birmingham, Alabama. Other cities in contention are New York City; Philadelphia; Columbus, Ohio; and Phoenix. Cleveland was a choice for Democrats, too. But if the full RNC ratifies Cleveland as its choice as expected, Democrats will drop Cleveland as an option.